Want to maintain your secret identity? Appoint someone else as your sign up’s point person? Fortunately, you can do both when you assign a custom contact to a sign up. With our smart sign up tools, you can edit the contact name shown to sign up participants, and someone else can receive email communications about the sign up. 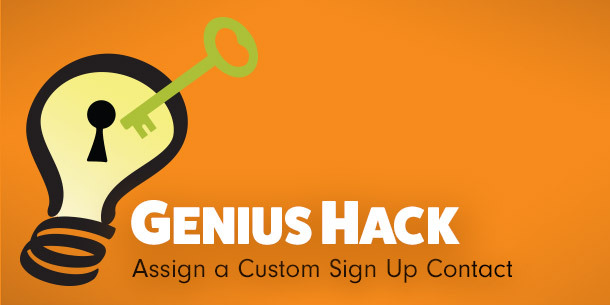 Assign a different contact person on the sign up instead of your own email address. This way, you can direct all sign up communication emails to someone else. Direct sign up-related emails to additional people. This is handy if you need one or more people other than yourself to receive communication emails on a sign up. Change the contact name on the sign up to a business, organization, club or any name you want to use. From here, you can enter a custom contact name and designate additional email addresses that you wish to receive sign up-related emails. Note: You can only designate emails of people you have added as an administrator on your account. If you do not see a person’s email address listed, you’ll need to add them as an admin in the Tools section of your account. Voila, you’ve just stepped into the beautiful world of delegation by directing those emails to someone else — all while staying undercover. Mission: accomplished.